From self-driving cars to intelligent robotic assistants and remote surgical systems, autonomous technology promises to revolutionize the way we live, work, and play. In order to enable this revolution, however, advancements in foundational research and workforce development must first take place to provide assured and safe performance. The University of Illinois at Urbana-Champaign has allocated $2.1 million in funds to create a new Center for Autonomy that will enable high-impact research and develop new educational programs for students and professionals. The center, which will include four Illinois Computer Science faculty and colleagues from across campus, will play an important role in designing innovative systems that can function without human intervention in a safe and reliable way. In addition, the College of Engineering is providing a $2.1 million match to recruit new faculty in robotics to continue growing expertise at Illinois. Illinois CS faculty who are part of the new center are: Associate Professor Derek Hoiem, Professor Alexander Kirlik, Research Assistant Professor Sibin Mohan, and Donald B. Gillies Chair in Computer Science Lui Sha. 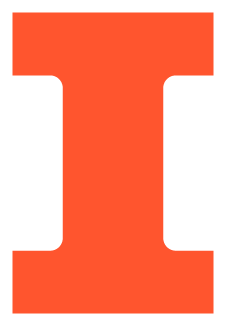 The Center for Autonomy will build on the University of Illinois’ established track record in autonomy. The university was recently named No. 1 in Automation & Control by the Shanghai Ranking Consultancy’s Academic Ranking of World Universities.